It’s Summer and beach fun is never off your list! For some, visiting islands is casual and unwinding, for some it’s trying out new adventure through water sports, while others are content with beach parties, meeting new people or getting a tan. A nice book as you lay on hanging hammocks, beautiful sunsets or calm morning walks, what’s your way of rejuvenation? Nonetheless, overly commercialized beaches with murky waters are a big turn off. While sun and sand are ideal breakaways, an overcrowded beach could surely end up spoiling the fun and tranquility. Depicting a spectacular specimen of a pure scenic beauty, Diu is a serene windswept island on the south coast of Gujarat’s Kathiawar peninsula. 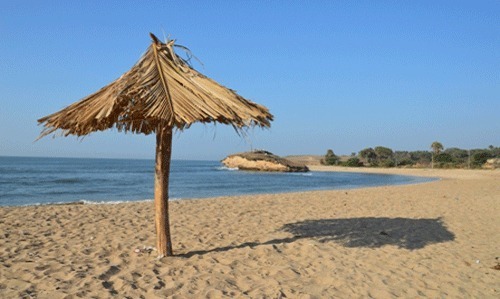 Diu Island offers a perfect blend of peace and calm. This Island is infused with Portuguese history wherein it was made a Portuguese colony from 1539 to 1961. 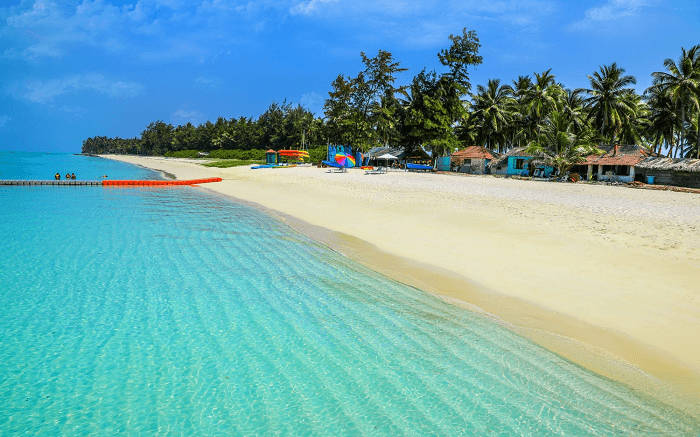 Diu Island is an apt place to experience a dream vacation in one’s life. The Island offers excellent opportunities for swimming, surfing and parasailing. It offers an altogether unique and impressive sight of sand crowned beaches and allures a flock of tourists every year. Weather in Diu Island is pleasant throughout the year. Located just 9 kilometres from Panjim (that is swarmed by hundreds of tourists each day), is Divar Island that is still uninfluenced and unscathed by tourism. In our desire to see and experience the hidden whereabouts of Goa, Divar Island was amongst one of the top places to visit. Read on to know more about our visit to this sleepy yet picturesque, serene and peaceful island. According to one legend, the name ‘Divar’ is derived from ‘Devallem’ or ‘Devola’, meaning Hindu temples. Another says that it comes from ‘Dipavatti’ meaning a village (vatti) of lights (dipa). Yet, another version maintains that the name comes from ‘Devipavatti’, a place (vatti) surrounded by many islands (devippa). Initially, there were 3 villages in Divar: Piedade, Malar and Naroa. The Piedade village was later subdivided into two namely Goltim and Navelim. No bridge or direct motorable road links the island to the mainland. Many islanders feel that this very handicap is a blessing in disguise, as it has helped Divar maintain, to a large extent, its traditional Goan ambience and culture. 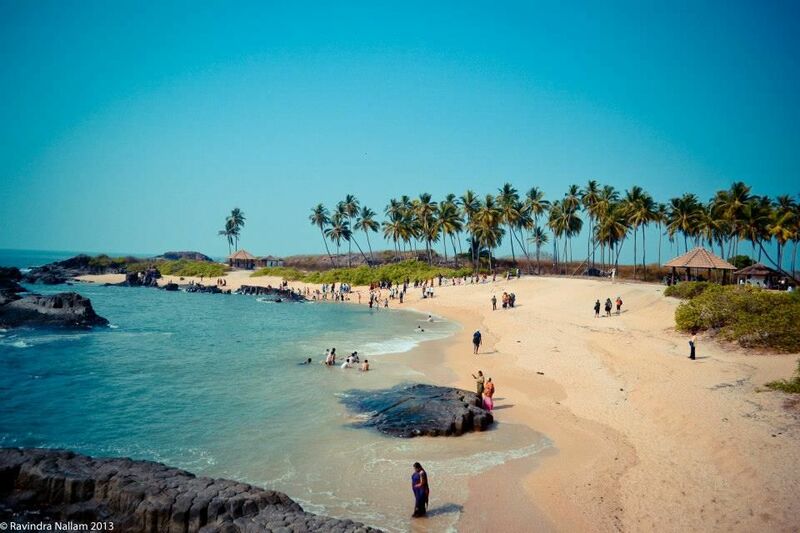 St Mary’s Islands, also known as Coconut Island is located in Arabian Sea, off Malpe beach in Udipi. 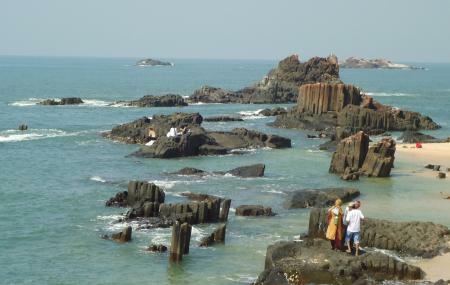 These are one of the 26 geological monuments in India and are unique for their special hexagonal structures formed through volcanic activities. Several resorts and restaurants have come up in these towns and since the islands are less than ten km from either of them, they happen to be pretty convenient places to stay overnight. One can ride up to these towns and on the two-wheelers, keep their luggage at the resorts and either walk up to the islands or go for a ride. Bike hiring has changed the way of tourism in Karnataka. Many people, who travel light, now wish to get scooters on rent in Bangalore to visit places instead of calling cabs or relying on public transport. India’s only active volcano — the Barren Island volcano (Stratovolcano) — in the Andaman and Nicobar Islands is again spewing lava and ash. The eruption could be linked with the recent earthquake that rocked Indonesia. 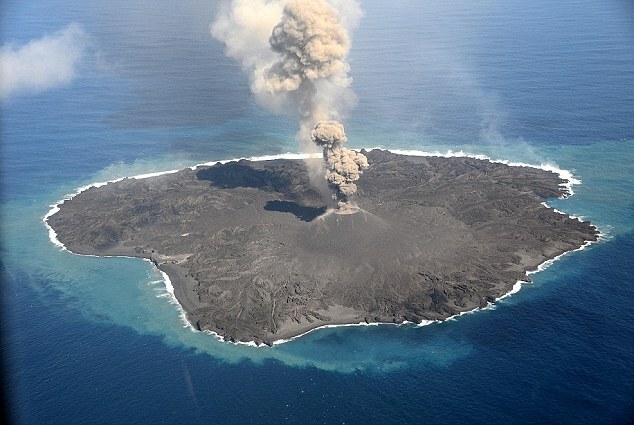 The barren island has been estimated to be 1.8 million old. 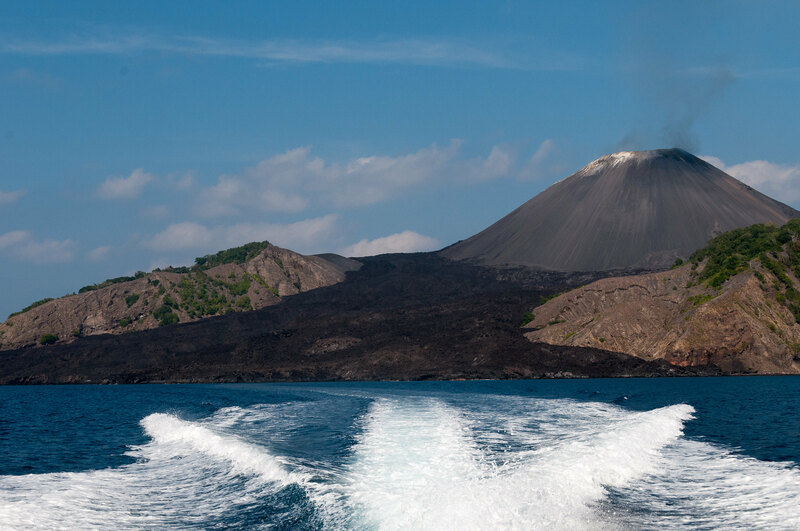 Barren Island, a possession of India in the Andaman Sea about 140 km NE of Port Blair in the Andaman Islands, is the only historically active volcano along the N-S volcanic arc extending between Sumatra and Burma (Myanmar). Just 3 kilometers wide, with a two-kilometer- wide caldera, Barren Island is the summit of a volcano that rises about 2,250 meters from the sea floor, with 354 meters above the water line. The caldera, which is open to the sea on the west, was created during a major explosive eruption in the late Pleistocene that produced pyroclastic-flow and -surge deposits. Historical eruptions have changed the morphology of the pyroclastic cone in the center of the caldera, and lava flows that fill much of the caldera floor have reached the sea along the western coast. Historically, the first record of the volcano’s eruption dates back to 1787. It was known to have erupted at least five times over the next 100 years. Then there was silence for a century before it erupted again in 1991, after remaining dormant for about 150 years. It spewed so massively that smoke billowed out for about six months. Ever since, there have been eruptions every two-three years, the last in February 2016. Kadmat is 8 Km long and 550 m wide at the broadest point. The long beaches in the island stretches without breaks and is frequented by the tourists who like to stroll on the beach during the rising and setting hours of the sun. The sand banks are small and are situated in the south end of the island visited by tourists who relax and bathe in the sun. Kadmat Island is surrounded by the palm groves that abound in the island in plenty. A particularly fine shallow lagoon, of even depth abounding in coral growth and an endless shoreline perfect for swimming, makes Kadmat a haven of solitude. The tourist huts are situated some distance away from habitation. Water sports facilities are available and a water sports institute, a scuba diving center has been set up. This little island has an astonishing variety of marine flora and fauna. The best attractions are the long sandy beaches and the sand banks on the southern tip for sunbathing. The lagoon with 20-50 meter visibility into the water abounds with fish such as Tuna, rays, sharks, Lion fish, Lobsters, sweet lips, groupers, eels, turtles and is a memorable destination for scuba divers. Dhanushkodi, located in the Rameshwaram district of Tamil Nadu, is the place where the wonders of nature and man become one. A place shrouded in mystery, this is a place that’s easy to miss by the regular tourist. Not only because it’s not really a part of the tourist map, but also because this place is hard to reach. Nonetheless, Dhanushkodi is a place an exploring traveller would love to visit and know more about. For reaching this place one needs to cross over to the Pamban Island from the mainland. 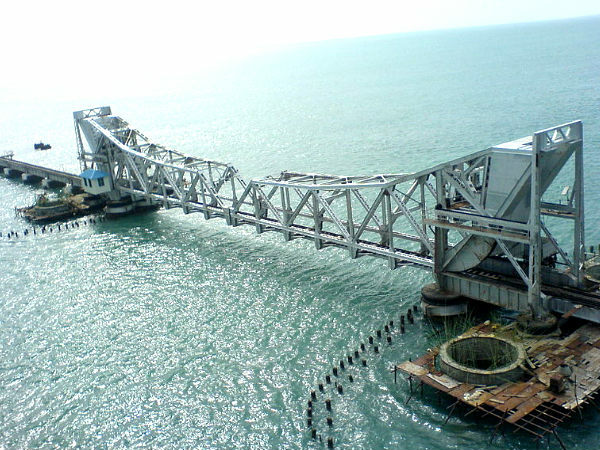 The best way to do this is by train, through the famous Pamban Bridge. Apart from the coastal charm and the mysteries attached to the place, there’s one more thing that makes Dhanushkodi a really unique place to visit. And it dates back to none other than our mythological history, Ramayana. 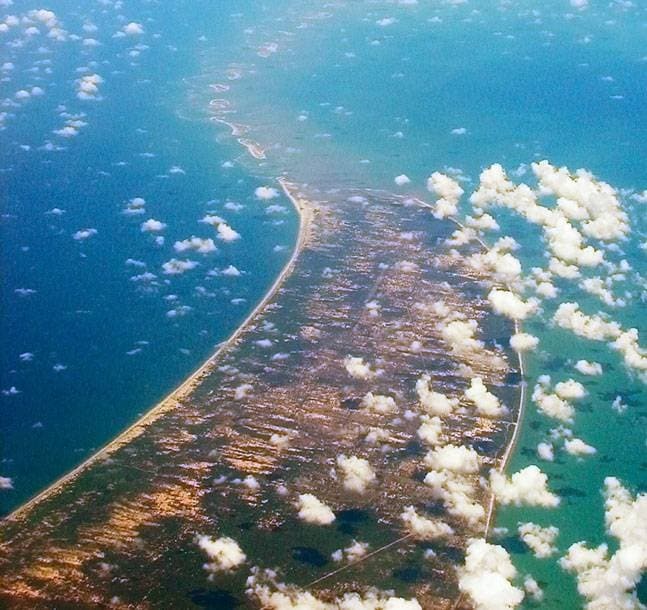 The town of Dhanushkodi is believed to be the place where Lord Rama had ordered Lord Hanumana to build a bridge which could carry his army across to Sri Lanka, where Demon King Ravana had kept Sita captive. As ordered, Lord Hanuman had obliged and it was here that the Ram Setu was built by the Vanara Sena.